In honor of Earth Day and Arbor Day, we're celebrating eight extraordinary women who have continuously advocated and rallied for our earth. These women work endlessly to implement policies and enact change to preserve and protect our environment -- from waterways, forests, access to clean air, oceans and mountains to the precious wildlife that reside within these ecosystems. The challenges we face today, especially with the onset of climate change, have opened new opportunities in the environmental sector that has long been filled by men. The progress that has been made by these remarkable women is illustrative of just how dynamic the feminine power really is. 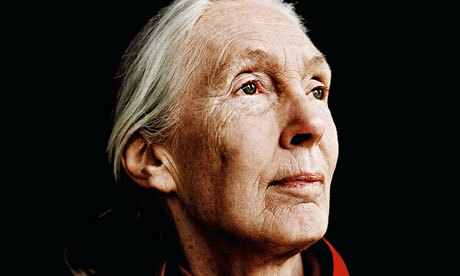 Dr. Goodall is considered one the world's foremost experts on chimpanzees and ecology. It is hard to overstate the degree to which she has changed and enriched the field of primatology. During her 55-year research study, she defied scientific convention by giving the Gombe chimps names instead of numbers, and insisted on the validity of her observations that animals have distinct personalities, minds and emotions. She has harnessed the power of the feminine, instilling such into every aspect of her work -- from her research studies to her global work through the Jane Goodall Institute and Roots & Shoots program, which aim to raise awareness and action for endangered species and vulnerable habitats. Dr. Goodall has transformed the epistemological framework of how we study primates, and has exemplified immeasurable ecological integrity. 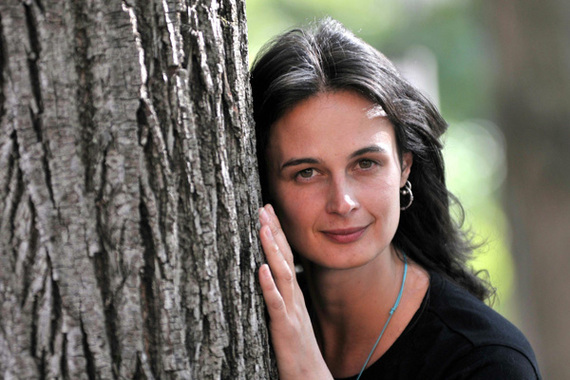 She will forever be a leading voice in the environmental movement worldwide. If you haven't heard the exciting news yet, she is our keynote speaker at Emerging Live this year in San Francisco, and we hope you'll join us to share in the energy of this legendary woman! In 1997, Julia Butterfly Hill stormed onto the environmental activist scene in Northern California with her courageous 738-day protest living in an old-growth redwood tree, nicknamed Luna. This incredible act of civil disobedience saved the tree from being cut down by the Pacific Lumber Company and resulted in the raised international awareness for sustainable forest management techniques and the importance of establishing safeguards to protect old-growth trees. Today, Hill continues her work as an activist, motivational speaker and founder of the Circle of Life Foundation, a non-profit that trains community leaders to enact social change. Her invincible spirit is illustrative of the immense power that the feminine holds, and the tenets of her legacy -- love, courage, devotion -- are of immense significance and have made the environmental movement undeniably stronger. As the former president of the Natural Resources Defense Council, Frances has worked tirelessly across political spectrums to strategically develop and execute the organization's program of work; focusing on curbing global warming, protecting our oceans and endangered ecosystems, developing a clean energy future, addressing toxic chemicals and greening our global economy. Beinecke has been instrumental in igniting our global discourse on climate change. She was appointed in 2010 to the National Commission on the BP Deepwater Horizon Oil Spill and Offshore Drilling by President Obama. 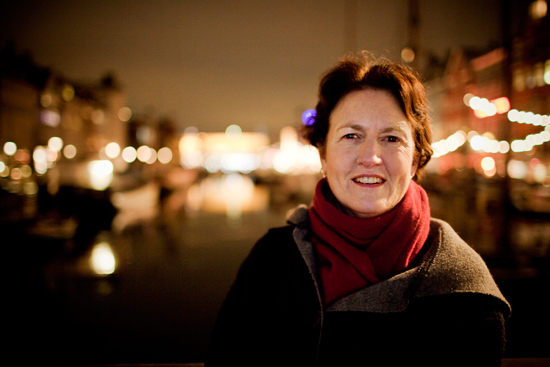 She co-authored The World We Create: A Message of Hope for a Planet in Peril. She is the recipient of the Audubon Society's Rachel Carson Award, and her environmental stewardship has been honored by numerous other environmental entities. She is an incredible woman and a force to be reckoned with. 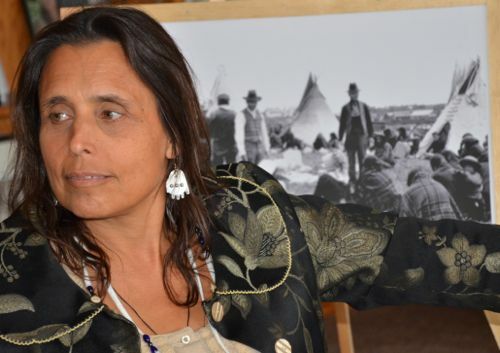 Winona LaDuke is an environmentalist, social activist, economist, speaker, professor and writer. She is of Ojibwe ancestry. She began her career in education on the White Earth Indian Reservation in Northern Minnesota, and soon realized the injustices that many American Indians, especially women, faced, which led her to found the Indigenous Women's Network. She is also the founder of White Earth Land Recovery Project, which fights for the retrieval of 837,000 acres of land to their original native American owners. Passionate about Native Environmentalism, she leads Honor the Earth, a non-profit that raises awareness and funding for environmental injustices-such as climate change, renewable energy, and sustainable development. Bold, brazen, and unrelentingly dedicated to our earth, Winona LaDuke is a leading global voice on environmental issues and sustainability for American Indians and Indigenous Peoples and communities everywhere. A National Geographic Society Explorer-in-Residence, Dr. Sylvia Earle (dubbed "Her Deepness" by the New Yorker, "Hero for the Planet" by Time magazine, and an "environmental badass" by us here at Emerging Women) is an oceanographer, explorer, author and lecturer.She has extensive experience as a field research scientist, government official, and director for corporate and nonprofit organizations, and is the former chief scientist of the National Oceanic and Atmospheric Administration. In the 1960s, she fought to join male-only expeditions, and has since clocked 7,000 hours of diving, several of which were to record breaking depths. In addition to her PhD. 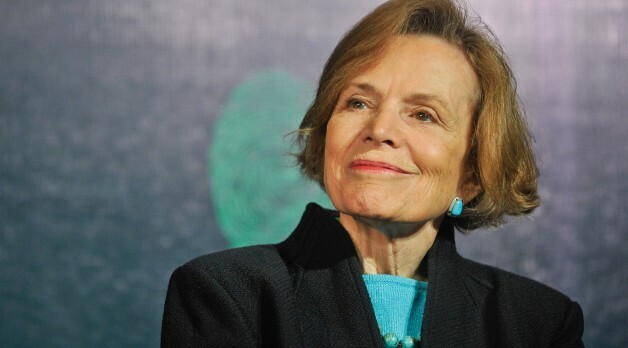 from Duke University, she has 22 honorary degrees, has penned more than than 190 publications, and speaks all over the world, focusing on preserving oceanic biodiversity in the wake of climate change. Thanks to Dr. Earle and her fearless curiosity we know more about our oceans today than ever before. Her lifetime of work has enriched us with a deeper understanding of how to live sustainably and symbiotically with marine life, and our oceans are healthier because of her commitment to environmentalism. Environmentalism claimed Gibbs, perhaps even before she could claim it. In 1978, Gibbs discovered that her son's elementary school in Niagara Falls, New York, was built on a toxic waste dump. 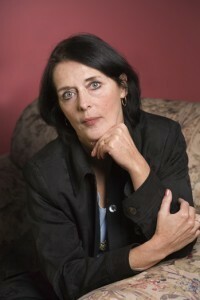 Investigations revealed that her entire neighborhood, named Love Canal, had been constructed on top of this toxic site. Lois took to her neighborhood and organized a grassroots movement and battled for years against state and federal government. After years of fighting, nearly 1,000 families were evacuated and a massive cleanup of Love Canal began. Gibbs' efforts led to the creation of the Comprehensive Environmental Response, Compensation, and Liability Act, a superfund within the US Environmental Protection Agency which is utilized to clean up toxic waste sites throughout America. Lois Gibbs went on to to form a grassroots environmental crisis center, the Center for Health, Environment and Justice, where she currently serves as Executive Director. Love Canal is considered one of the nation's worst environmental disasters, and Gibbs' fearless heart and feminine leadership has transformed the way the U.S. handles toxic waste sites, and for that, our communities are healthier and safer. Peggy Shepard is arguably the most important proponent of environmental justice issues in communities of color in the country. 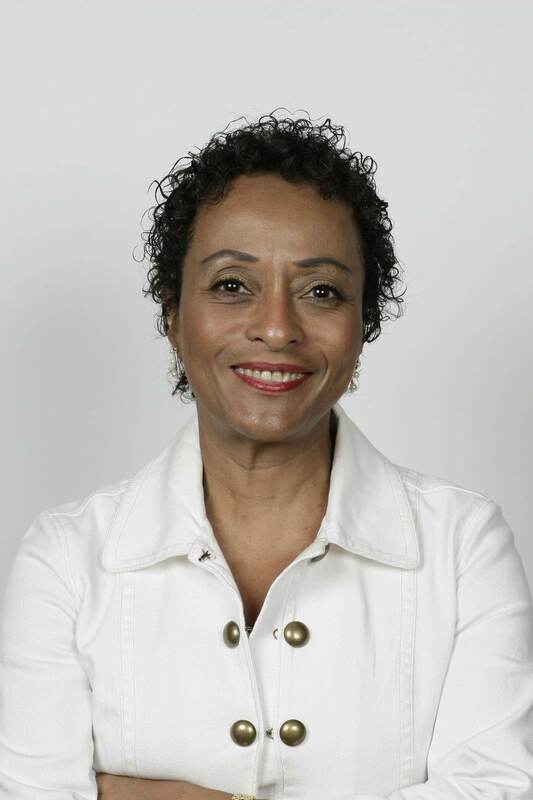 She is founder of WE ACT for Environmental Justice, a non-profit she created in 1988 to improve the environmental health and quality of life for communities of color in New York City. Shepard also serves as an investigator for Columbia University's Children's Environmental Health Center and is working to open partnerships between researchers and clinicians and local community members to increase environmental health education and outreach. Shepard was the first female chair of the National Environmental Justice Advisory Council, a position she held from 2001-2003. She is the recipient of numerous awards including the Heinz Award for the Environment, the Jane Jacobs Medal for Lifetime Achievement, and the Susan B. Anthony Award from the National Organization of Women. She remains extremely active in the environmental justice field and lectures often at universities nationwide. Her environmental consciousness is one of integrity and is an amazing leader with a passion for fairness and justice for underrepresented communities that is unmatchable. 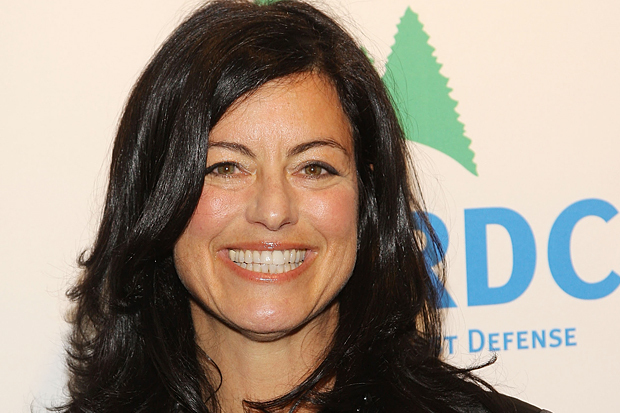 Laurie David burst onto the environmental stage in 2006 with her Academy Award-winning film An Inconvenient Truth. The film received international acclaim and is considered to be a catalyst for significantly increasing global awareness of climate change and for re-energizing the environmental movement. She serves as a trustee on the Natural Resources Defense Council, is the founder of the Stop Global Warming Virtual March, and the creator of Earth to America!, a film raising environmental awareness with a comedic stance. David is heavily involved in public education and advocacy campaigns, and is involved in lobbying the automotive industry and Congress to increase fuel efficiency standards for vehicles with her creation of the Detroit Project. Laurie David is a leading voice in the environmental movement and has utilized her unique position in the entertainment industry to promote and raise awareness of global environmental issues, amplifying participation and the accessibility of environmentalism. Know a woman who is making a difference for the environment? Let us know in the comments, or tweet at us @emergingw! 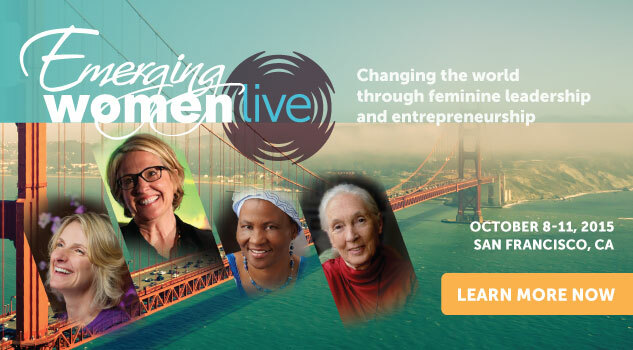 PS: I hope you'll join us in San Francisco to share in the energy of radical women like Dr. Jane Goodall and many more at Emerging Women Live. Early Bird tickets are available until July 31st -- so now's the time to go for it! Register for your ticket to personal and professional transformation HERE. Correction: A previous version of this post incorrectly identified Frances Beinecke as the former president of the National Resource Defense Council.